George J. Borjas is the Robert W. Scrivner Professor of Economics and Social Policy at the John F. Kennedy School of Government, Harvard University. He is also a Research Associate at the National Bureau of Economic Research. Professor Borjas received his Ph.D. in economics from Columbia University in 1975. Prior to moving to Harvard in 1995, he was a Professor of Economics at the University of California at San Diego. Professor Borjas has written extensively on labor market issues. He is the author of several books, including Wage Policy in the Federal Bureaucracy (American Enterprise Institute, 1980), Friends or Strangers: The Impact of Immigrants on the U.S. Economy (Basic Books, 1990), Labor Economics (McGraw-Hill, 1996; 2nd Edition, 2000, 3rd edition, 2005), and Heaven’s Door: Immigration Policy and the American Economy (Princeton University Press, 1999). He has published over 100 articles in books and scholarly journals, including the American Economic Review, the Journal of Political Economy, and the Quarterly Journal of Economics. His work also appears regularly in major magazines and newspapers, including articles in The Atlantic Monthly and National Review, as well as editorials in The New York Times, The Wall Street Journal, and Le Monde. 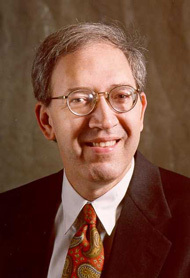 His professional honors include citations in Who's Who in the World, Who’s Who in America, Who’s Who in Finance and Industry, Who’s Who in Economics, and research grants from the National Science Foundation, the Sloan Foundation, the Russell Sage Foundation, and the Smith-Richardson Foundation. Professor Borjas was elected a fellow of the Econometric Society in 1998 and a fellow of the Society of Labor Economists in 2004. Professor Borjas is an editor of the Review of Economics and Statistics, and has been on the editorial boards of the Quarterly Journal of Economics and the International Migration Review. He was a member of the Council of Economic Advisors for the Governor of California (1993-1998), of the National Academy of Sciences Panel on the Demographic and Economic Impact of Immigration (1995-97), and chaired the National Science Foundation’s Committee of Visitors for the Economics Program (1996). Professor Borjas has also been a consultant to the Office of the Attorney General of the State of California, to the World Bank, and to law firms engaged in litigation involving employment and wage-setting in labor markets. Professor Borjas’s research on the economic impact of immigration is widely perceived as playing a central role in the debate over immigration policy in the United States and abroad. Business Week and The Wall Street Journal, in a front-page feature article, have called him "America’s leading immigration economist". He has appeared on CNN's Lou Dobbs Tonight, the PBS NewsHour with Jim Lehrer, the nightly news shows of CBS and NBC, the Fox News Network's O'Reilly Factor and Fox and Friends, and Ben Wattenberg's Think Tank. He has also testified before several congressional committees. Professor Borjas was born in Havana, Cuba in 1950, and migrated to the United States in October 1962. He is married and has three children.